Today the Baltimore Office of Promotion & The Arts (BOPA) released the names of seven 2019 Sondheim Finalists. Compared to previous years where certain names have been repeat picks from past competitions, this year’s group is 100% new and fresh, with none ever having been a finalist before. 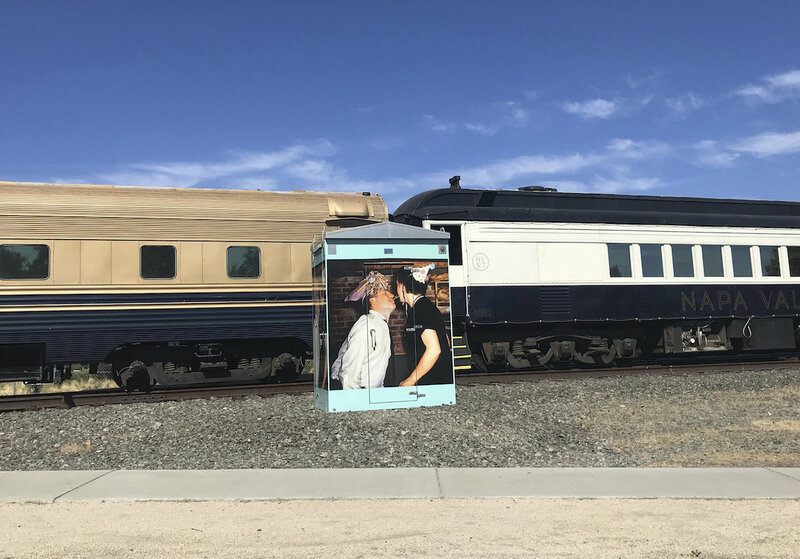 This is great because it gives audiences a chance to appreciate a new range of regional contemporary artists on top of their game and it also presents a different slice of the region’s contemporary art scene, one less institutional and monumental, more personal and expressive. Perhaps this is because this year’s jurors include two contemporary artists who make drawings, Laylah Ali and William Powhida, as well as NY-based curator Regine Basha. Regardless, this year’s list offers a range of artists’ styles and media, from drawing and painting to video, performance, and puppetry, and skews toward the personal and the narrative, rather than conceptual and minimal. As a group, the 2019 Sondheim finalists appear to value process over product, as well as big and messy questions over neat and tidy answers. We are excited for this group of artists to bring something vital and exciting to this year’s exhibition and competition and so far, all seem evenly matched with no standouts, in terms of experience or aesthetics. This year’s prize is anyone’s game and it’s up to each finalist to use their $2500 stipend (the M&T Bank Finalist Award) to create the best possible exhibition, which will then be judged in person the day of the awards ceremony. 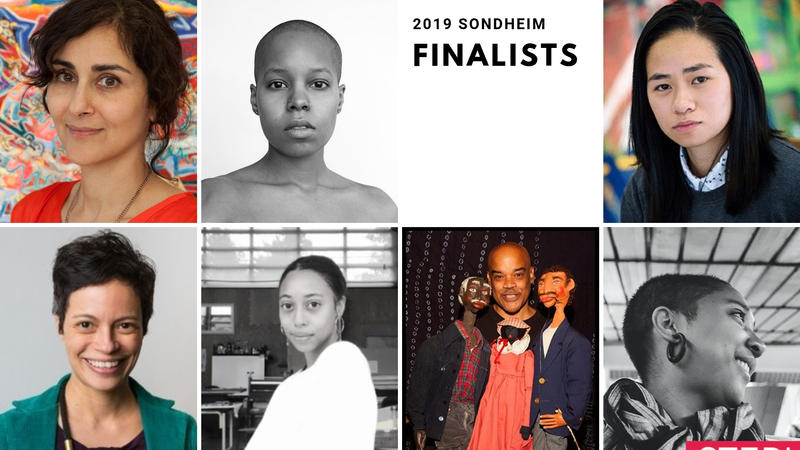 The finalists for the 14th annual Janet & Walter Sondheim Artscape Prize are Negar Ahkami, Akea Brionne Brown, Cheeny Celebrado-Royer, Schroeder Cherry, Phylicia Ghee, Jackie Milad, and Stephanie J. Williams. All of this year’s finalists will participate in an exhibition at The Walters Art Museum and the winner receives a $25,000 fellowship “to assist in furthering the career of a visual artist or visual artist collaborators living and working in the Baltimore-Washington metropolitan area.” The winner will be announced live and on stage at an award ceremony and reception on Saturday, July 13, 2019 at 7 p.m. at the Walters. The event is free and open to the public and is the high point of Artscape for many of us. 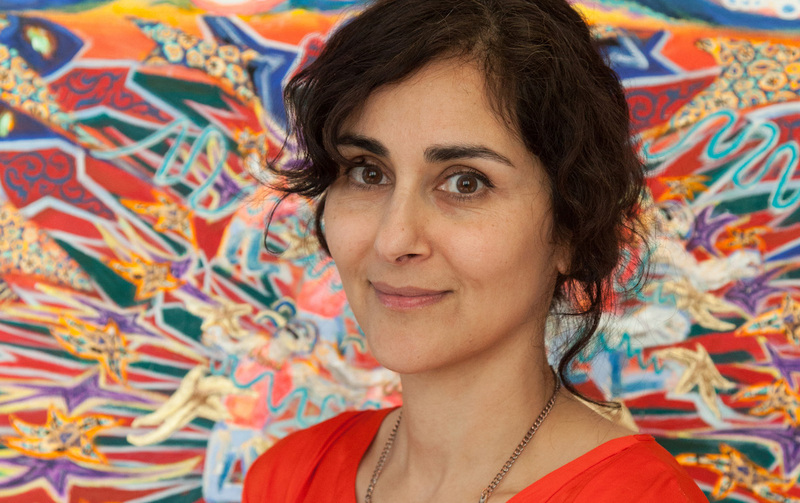 More on the 2019 Janet & Walter Sondheim Artscape Prize Finalists: Negar Ahkami (Arlington, VA) is a painter whose work passionately engages the rich visual legacy of Iran, and its intersections with global art and culture. Through a wide symbolic vocabulary, tactile surfaces and an expressive use of pattern, Ahkami examines fraught and inspiring links between the U.S. and Iran, and more broadly, between the West and Middle East. Her work has explored U.S.-Iranian geopolitics, Islamophobia, Orientalism in art and popular culture, and cultural appropriation in art history. Ahkami’s work has been shown nationally and internationally in group exhibitions in museums and galleries including Crystal Bridges Museum of American Art, Bentonville AR; North Carolina Museum of Art; The William Benton Museum of Art, Storrs, CT; The Bronx Museum of the Arts; Stux Gallery, New York; Kravets Wehby Gallery, New York; Marvelli Gallery, New York; among others. 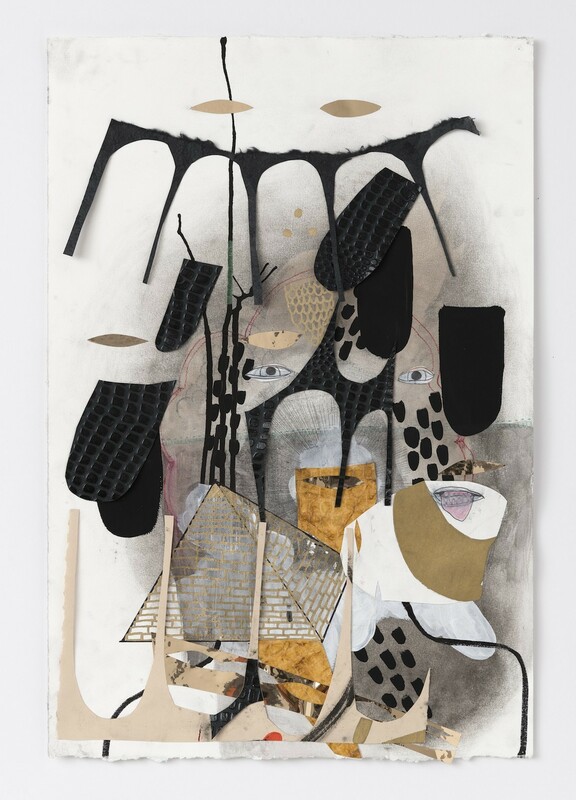 She has held solo exhibitions at New York’s Leila Heller Gallery and LMAK Projects (Williamsburg) and Virginia’s Cody Gallery at Marymount University and Arlington Arts Center, where she is a long-term artist-in-residence. Ahkami’s work is included in private and public art collections and has been featured in numerous publications. 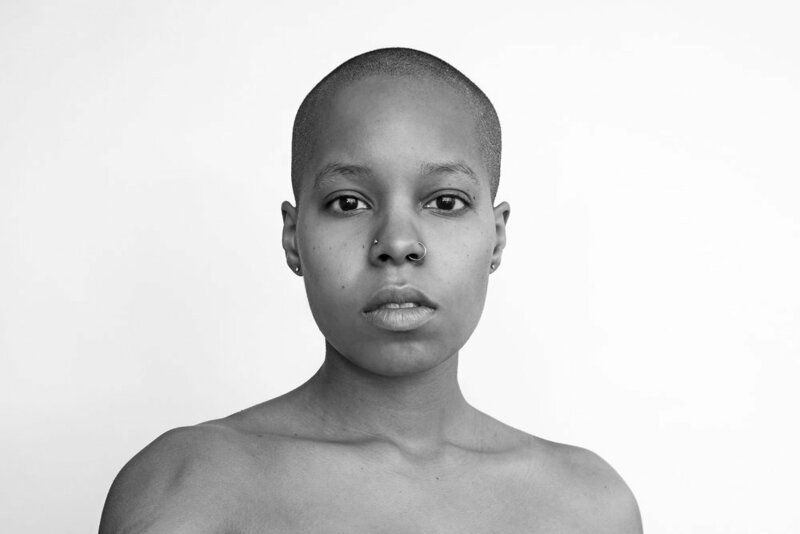 Akea Brionne Brown (Baltimore, MD) is an emerging photographer that investigates the implications of historical racial and social structures in relation to the development of contemporary black life and identity within America. With a particular focus on the ways in which history influences the contemporary cultural milieu of the American black middle class, Brown explores today’s African-American community as it relates to historical forms of oppression, discrimination and segregation in American history. She received a Visual Task Force scholarship from the National Association of Black Journalists. 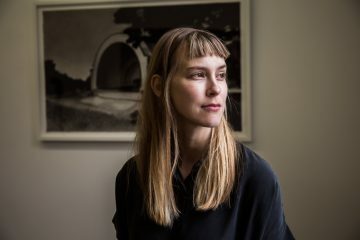 Her work is featured in the Smithsonian’s Ralph Rinzler Folklife Archives and Collections, and was recently acquired by Los Angeles Center for Digital Art. She was the 2018 winner of Duke University’s Archive of Documentary Arts Collection’s Documentarian of Color award. Her series, Black Picket Fences, was acquired for their permanent collection at the David M. Rubenstein Rare Book & Manuscript Library. She was also chosen to attend the 7th annual New York Portfolio Review in 2018. Cheeny Celebrado-Royer (Havre de Grace, MD) is a multidisciplinary artist who uses detritus from art packaging materials, recycled and found objects, as well as studio trash to create intricate wall installations, sculptures, paintings, and drawings. The Philippine-born artist has a bachelor of arts in studio art from McDaniel College, Westminster, MD, and a master of fine arts from the Maryland Institute College of Art (MICA). 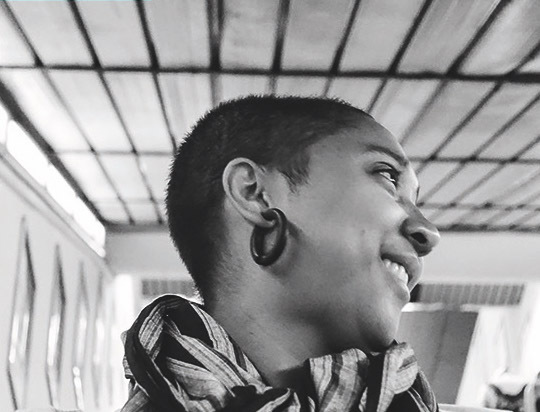 Celebrado-Royer was a Community Art Collaborative member artist from 2016–17 with the AmeriCorps Program at MICA, where she served at the Refugee Youth Project, and was an AICAD Fellow for 2017/18 Post-Graduate Teaching Fellowship at Pratt Institute, New York. 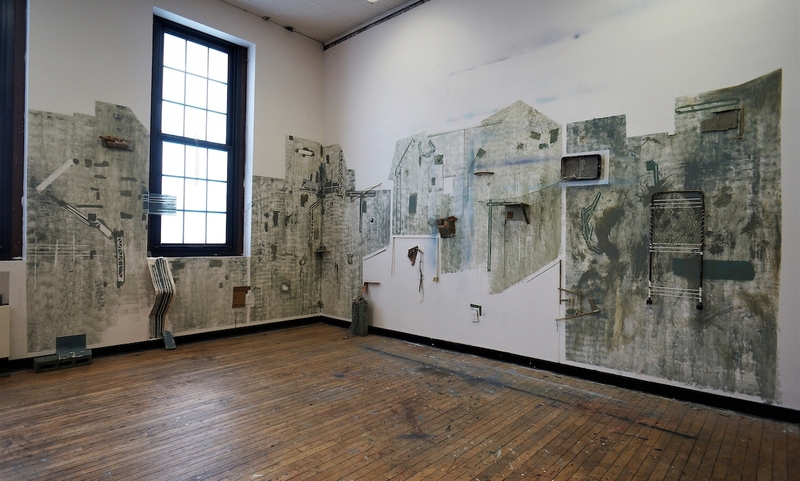 Celebrado-Royer is currently the artist-in-residence for the post-baccalaureate program at MICA. Schroeder Cherry (Baltimore, MD) is an artist and museum educator, originally from Washington, D.C. Cherry earned a bachelor of fine arts in painting and puppetry from the University of Michigan, a master’s degree in museum education from The George Washington University, Washington, D.C., and a doctorate in museum education from Columbia University, New York. His works are informed by a broad sweep of narratives, literature, mythology, music, current events, and history. His preferred medium is acrylic with found objects on wood. Keys, cowrie shells, glass, and metal often appear in his works, as well. Although the works tend to have a storyline, Schroeder appreciates hearing viewers’ responses to the pieces. Schroeder’s exhibitions in the Maryland/Washington, D.C. metropolitan area include MAXgallery; Hamilton Arts Collective; Fleckenstein Gallery; Maryland Art Place; RESORT; The Peale Center for Baltimore History and Architecture; Artists and Makers Studios; Smithsonian’s Anacostia Community Museum; and Watergate Gallery. Additionally, Cherry is working on a series on barbershops. Phylicia Ghee (Randallstown, MD) is an interdisciplinary visual artist, photographer, and curator. 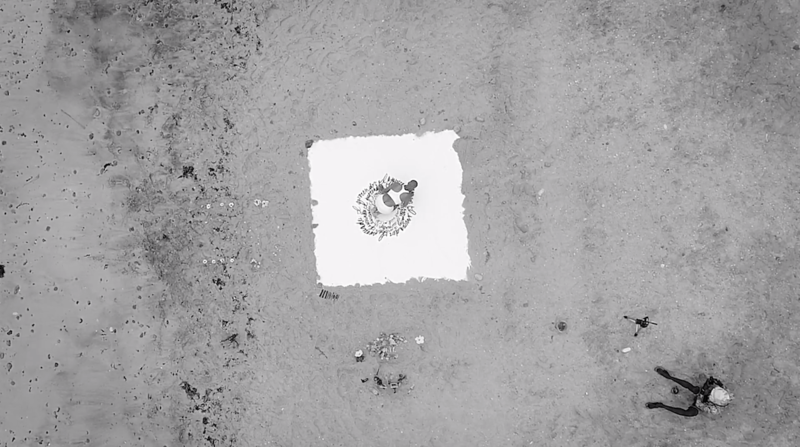 Her artwork documents transition, explores healing, ritual, ceremony and personal rites of passage. 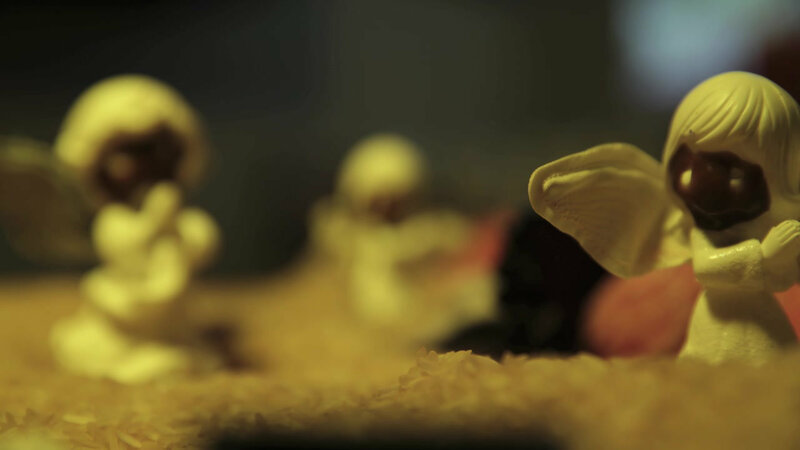 Taught by her grandfather at a very early age, Ghee works in photography, performance, video, fiber, mixed media, installation, and painting. She earned a bachelor of fine arts in photography with a concentration in curatorial studies from Maryland Institute College of Art. 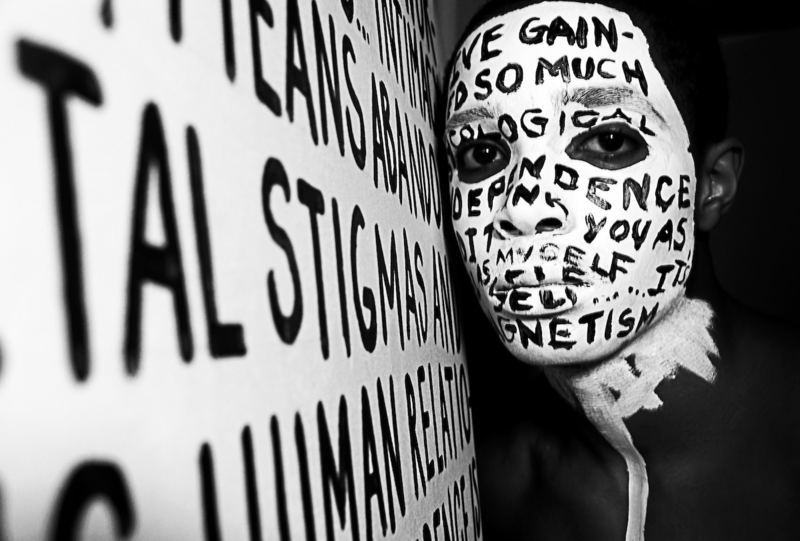 Additionally, in 2017, Ghee was recognized by Maryland’s First Lady Yumi Hogan and the Maryland Department of Health’s Behavioral Health Administration for her art and activism in raising awareness on issues surrounding mental illness and substance use. 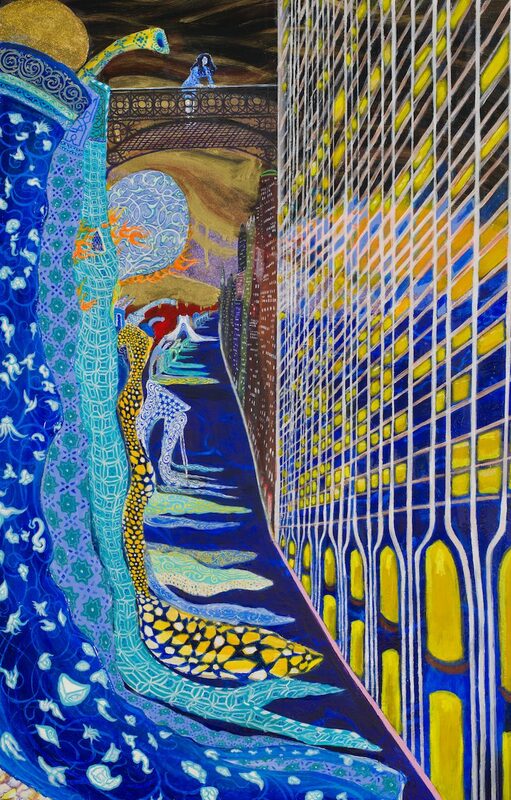 Jackie Milad (Baltimore, MD) creates textured works on paper and canvas. Her artwork has been featured in group and solo exhibitions nationally and internationally. Select exhibitions include: Grizzly Grizzly, Philadelphia; School 33 Art Center, Baltimore; Phoebe, Baltimore; Lycoming College, Williamsport, PA; Gettysburg College; Flashpoint Gallery, Washington D.C.; Museo de Arte de Mazatlán, Mazatlan, Mexico); DiFOCUR de Sinaloa Galleria (Culiacán, Mexico), Transmitter, Brooklyn; Arlington Arts Center; and Goucher College’s Silber Art Gallery, Baltimore. 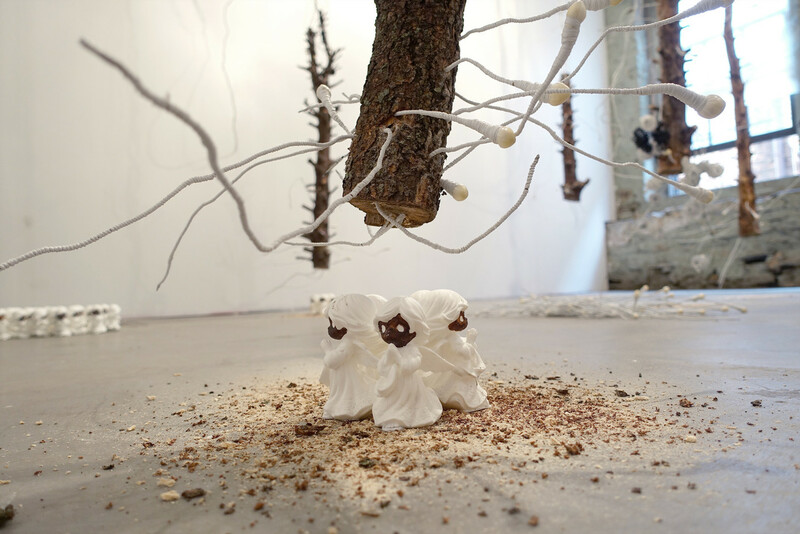 In 2010 and 2016, Milad was awarded an individual artist grant from Maryland State Arts Council, and in 2018 and 2019, she was a semifinalist for the Janet & Walter Sondheim Artscape Prize. Milad was an inaugural resident of the Creative Alliance at the Patterson, located in Baltimore, and also held a residency at Vermont Studio Center. Milad received her bachelor of fine arts from the School of the Museum of Fine Arts at Tufts University, and her master of fine arts from Towson University. Besides her active studio practice, Milad also has an extensive career as a curator and educator, where she has committed many years to the education and support of emerging artists. 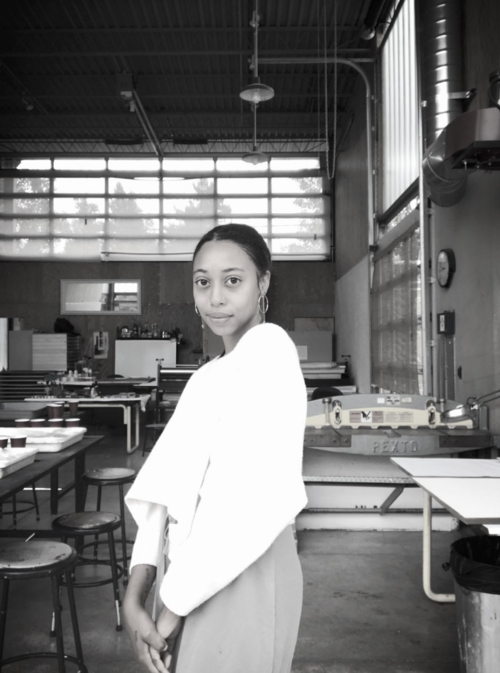 Stephanie J. Williams (Washington, D.C.) is a tinkerer and doodler whose work navigates hierarchies of taste. She received her master of fine arts in sculpture from Rhode Island School of Design, a Sheridan Teaching Certificate from Brown University, Providence, RI, and a bachelor for fine arts from James Madison University, Harrisonburg, Virginia. 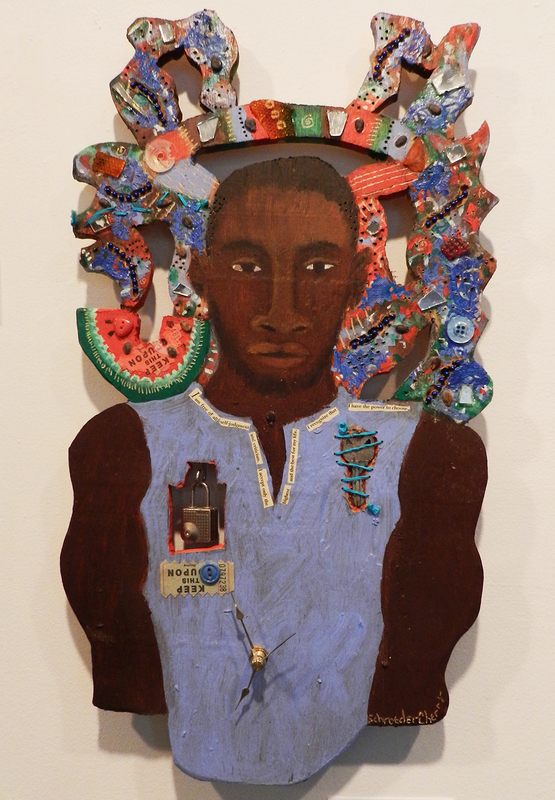 In 2017, she was in Fictions, part of the Studio Museum of Harlem’s F-show exhibitions. Additional exhibition venues include |’sindikit |, Baltimore; Washington Project for the Arts, Washington, D.C.; The Delaware Contemporary; Grizzly Grizzly, Philadelphia; the Everhart Museum, Scranton, PA; and Lawrence University, Appleton, WI. 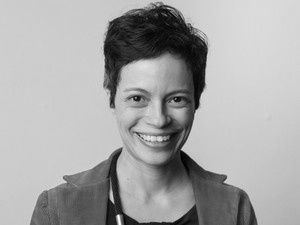 In addition to reviews in prominent publications, Williams was a recipient of a DC Commission on the Arts & Humanities Fellowship in 2019; a resident fellow at the Corporation of Yaddo, Saratoga Springs, NY, in 2018; Virginia Center for the Creative Arts in 2016; ACRE Projects, Chicago, in 2015; Wassaic Project in 2014; Elsewhere, Greensboro, North Carolina, in 2014; and the Vermont Studio Center in 2006. She currently teaches stop motion for the Animation Department at the Maryland Institute College of Art. The Janet & Walter Sondheim Artscape Prize is named in honor of Janet and Walter Sondheim who have been instrumental in creating the Baltimore City that exists today. Walter Sondheim, Jr. had been one of Baltimore’s most important civic leaders for over 50 years. His accomplishments included oversight of the desegregation of the Baltimore City Public Schools in 1954 when he was president of the Board of School Commissioners of Baltimore City. Later, he was deeply involved in the development of Charles Center and the Inner Harbor. He continued to be active in civic and educational activities in the city and state and served as the senior advisor to the Greater Baltimore Committee until his death in February 2007. Baltimore Office of Promotion & The Arts (BOPA) is accepting applications for its 2019 arts festivals and programs.